Students at General Wolfe School about to begin the Sweep Off in 2017. With the snow very rapidly melting away, it can only mean one thing: it’s time for some spring cleaning! On Thursday April 26, students and staff from West End schools General Wolfe and Isaac Brock will help fill hundreds of bags full of garbage and recyclables collected from West End walkways, boulevards and parks and sweep dozens of sidewalks free of sand. Local business staff will join in to help. 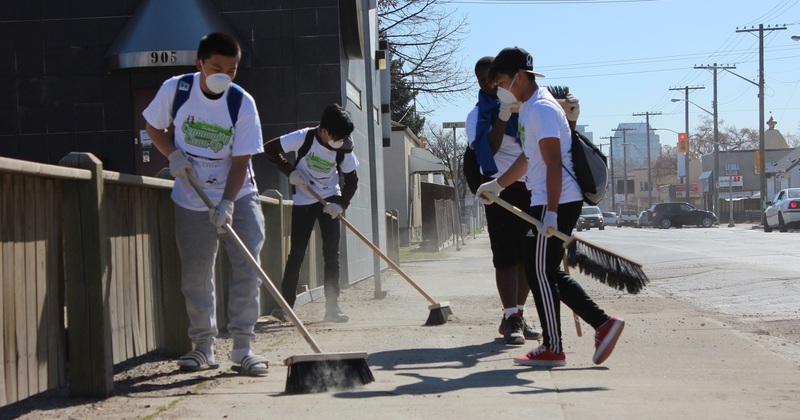 Armed with brooms and bags, they are eager to rid their assigned streets of a winter’s worth of accumulated debris and make an immediate visible difference to the image of our streets. Bags of litter and recyclables collected by the students will be consolidated at the Safeway parking lot (Sargent & Maryland)) where City staff will pick up the garbage bags for disposal. Recycle Everywhere will also be on site to ensure recyclables are on their way to a new life. The kick off to the event happens at the school at 915 am. 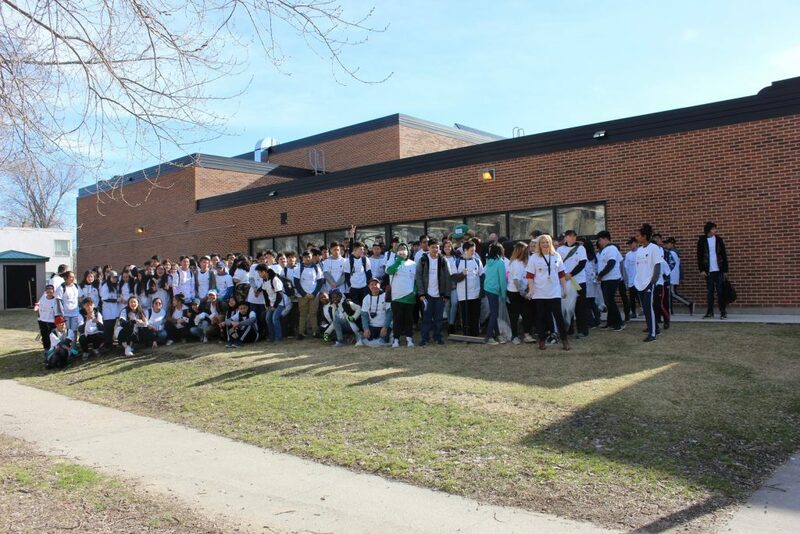 These hardworking students will then be on the streets from 10 am until 230 pm .They will be out-fitted in white T-shirts proudly displaying the 2018 Sweep-Off Sponsors. The media are welcome to attend. Thanks to all our event sponsors and partners!